Virus and Malware or for instance any stubborn spyware can the cause for turning a completely nice system to a unbootable state, making users take steps of last resort like reformatting or reinstalling the OS ending with a lot of work to set back all the applications and work back to the earlier state. Norton Bootable Recovery Tool is a free recovery application for restoring a completely dead system back to its earlier state.After downloading and installing the application the first thing you should do is to create bootable recovery disk or a bootable recovery usb disk so that the next time your system get dead, you can revive it using the recovery disk. 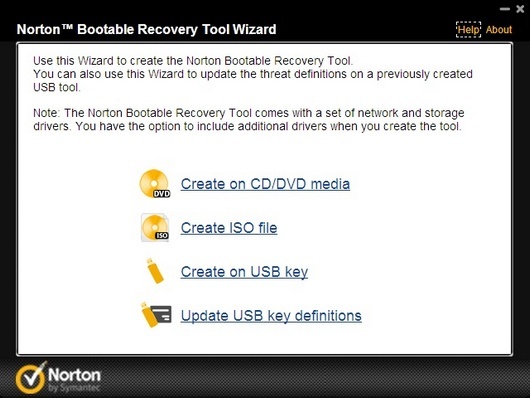 Here’s how to go about creating your Recovery Disk Using Norton Bootable Recovery Tool. Once the application is installed, start the Norton Recovery Tool Wizard and select your choice of medium on which you want to create the recovery wizard. If you choose the USB Drive, then you can also update the signature and update the virus signatures using the “Update USB key definitions”.Using the Norton Bootable Recovery Tool wizard, create a desired bootable device, boot your PC from it, and then scan to remove malicious threats easily. 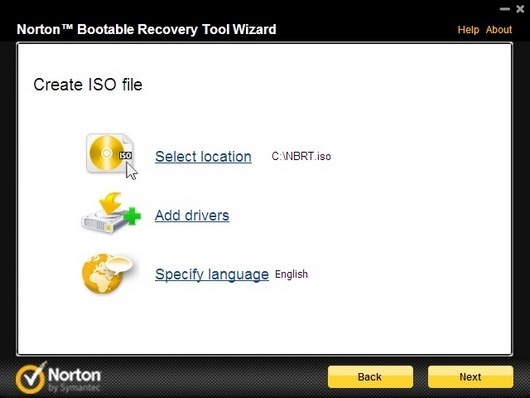 The Norton Bootable Recovery Tool is a Rescue tool available for free to existing customers of Norton Antivirus, Norton Internet Security and Norton 360.Follow these slides here for the steps to use the tool. 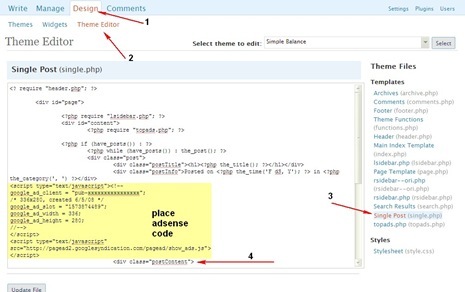 Incase you system get infected and is unable to bootup, insert your customized Rescue Boot Disc which will boot your computer in a safe environment, from where you can remove the threats that caused the problem so that fix your system and restore it to its functional state easily.